Reggio Lingua offers a wide range of Italian language courses meeting the demands of the students of all ages and language proficiencies. The courses are provided all year round. We make sure that classes have a limited number of students, and that every student gets an individual attention. Moreover, our school is an official site for the CELI Certification Exam, authorized by the University for Foreigners, Perugia and a member of ASILS and EDUITALIA. Before the beginning of the course students will take a test to evaluate their knowledge of Italian in order to form homogeneous classes. The classes are small, with a minimum of 3 students and a maximum of 8, to encourage learning and participation and to create a pleasant, relaxed, informal atmosphere. At the end of each didactic unit, students will be given a test to systematically evaluate progress. At the end of each course students will take a final exam to pass to the next level. At the end of each course students will receive a certificate of attendance. 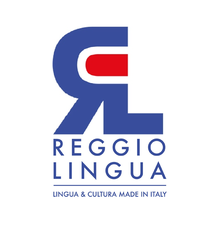 Reggio Lingua is one of the exam centers for CELI (Certification of Italian as a Foreign Language) and it is authorized by the University for Foreigners in Perugia. At Reggio Lingua is, therefore, possible to enrol to exams of all the levels based on the Common European Framework of Reference for Languages by the Council of Europe and recognized by the Italian Ministry of Foreign Affairs. For students wanting a personalized, flexible course, Reggio Lingua organizes private lessons. Students can choose 20, 30, 40 or 50 hours of lessons with a weekly schedule adapted to the individual student’s needs. At the end of each course the student receives a certificate of attendance.